Brew up the perfect potion this Halloween with a selection of tricks – and of course tasty treats - from HARIBO. With a hubble and a bubble, a little toil and lots of trouble, this tasty competition will help you to cater for the ghastly ghosts and gruesome goblins that come out to play. Take a handful of HARIBO sharing treats and a pack full of mini bags for little beasts. Add a sprinkling of Halloween props and a drop of themed decorations and you’ll create something for everyone during this fun-filled family occasion. 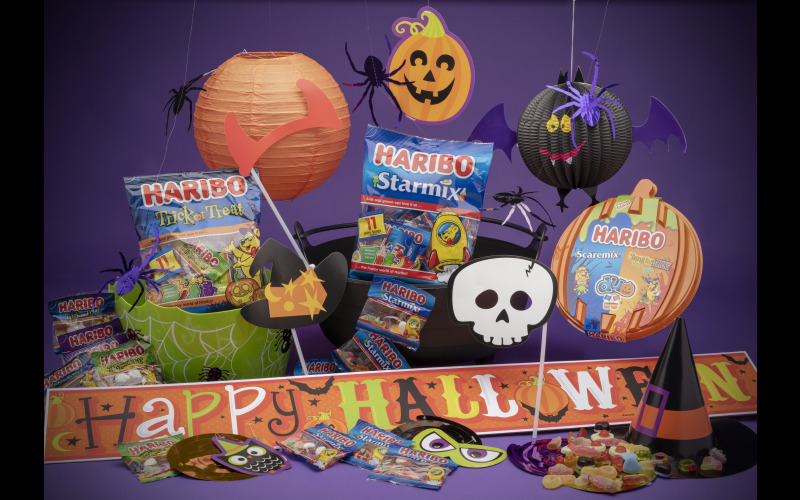 There’s the HARIBO Trick or Treat mini bag, Starmix Minis and even a cauldron to help you to cater for all the trick or treaters that come knocking. For parties you’ll get props to create a setting that is worthy of any ghostly guests. For those who dare, sink your teeth into TangfasTricks’ mix of tasty tang, scarily sour and spell-bindingly hot pieces that make the perfect trick and treat, while those more sensitive souls can enjoy a spooky treat with Scaremix and its fearsome flavours.